PARIS, FRANCE: Hotel reservation website Booking.com has agreed to allow hoteliers in France, Italy and Sweden to charge cheaper prices elsewhere after a spate of legal challenges, the French competition authority said Tuesday. officials from France, Italy and Sweden, prompted by legal complaints from hotel trade associations. However, hotels that use Booking.com will still be barred from charging cheaper prices on their own website, except for customers with fidelity cards. The changes to the rules - known as "parity clauses" - are due to come into force on July 1. 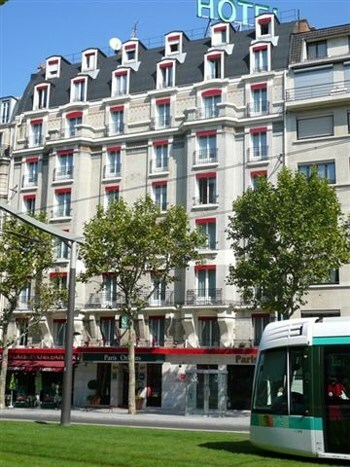 However a spokesman for top French hotel trade association UMIH said the deal still did not go far enough. "We have achieved an important step, but it does not resolve everything," said Herve Becam, vice-president of French trade association UMIH. "We are not fully satisfied. There is still much work to do since we want an end to all parity clauses," he said. Another French trade association, GNI, said Booking.com had threatened to downgrade hotels that did not match its pricing rules. "This decision is presented as if hoteliers have regained their commercial and pricing freedom - that's not the case at all," said GNI president Didier Chenet. "The ability of hoteliers to protect their brand on the web has been shamelessly hijacked by Booking.com." The French trade associations lodged their complaints in July 2013, accusing Booking.com of exploiting its dominance of the market in Europe. The investigations were coordinated with the help of the European Commission. Booking.com is still embroiled in negotiations in other European countries and faces a separate legal action by France's top hotel group Accor. Accor said Tuesday's decision "partly responds" to its concerns over the loss of control over pricing and promotion. "For this decision to have a real impact ... Expedia and other online sites must make the same commitments and that real competition emerges between online travel agents," the group said in a statement. Expedia and another reservation site, HRS, have also had cases lodged against them and are currently in talks with France's competition commission.